"How to recover deleted emails? Hello, I am having issues finding emails that i deleted accidentally... Do I have to install a program to be able to recover those kind of emails?" If you have deleted an important email while you were just trying to get rid of the useless emails on your Mac, you are probably looking at solutions for Mac email recovery. Since it was an important email, we understand you need it back as soon as possible as the sender may be waiting for you to respond to that now-disappeared email. Fortunately, your Mac has some built-in options that let you recover deleted emails Mac. These methods use various techniques to help you restore the emails that you accidentally deleted from your machine. The following guide shows how you can implement these methods and recover your deleted emails on your Mac. If you use Apple Mail as your default email client, you are in luck. When you delete an email in the Apple Mail app on your Mac, the email does not get deleted permanently. Instead, it is moved to the Trash folder where you can easily find it and restore it on your machine. Step 1. Click on Launchpad in your Dock and search for and click on Mail to launch the Apple Mail app on your Mac. Step 2. When the Mail app launches, you will see a sidebar with your folders in the left-hand side of your screen. Among these folders is a folder called Trash. Click on it to view your deleted emails. Step 3. When you have found your email, right-click on the email and select Move to followed by Inbox. What it will do is it will move your email from Trash over to your main inbox. There you go. That is how you recover a deleted email using the Mail app on your Mac. If you do not use the official Apple Mail app but you use a different email client for your emails o your Mac, you still have a way to restore your deleted emails. Usually, when you delete something from your Mac, it gets sent to the Trash. And guess what, you can recovery everything that is in your Trash - including your emails. Step 1. 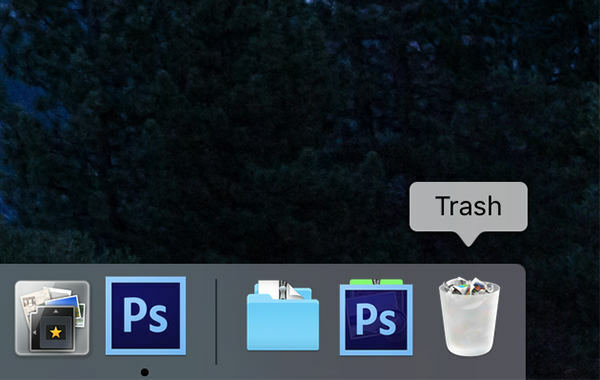 Click on the Trash icon in your Dock to launch Mac Trash on your machine. Step 2. When the Trash launches, find the deleted email in the list and right-click on it and select Put Back. It will restore the email to its original location on your Mac. You are all set. Your deleted email has been successfully restored. You should find it in whatever app that you use to manage your emails on your machine. Time Machine is a utility that comes preloaded on almost all the Macs to help you create backups of your files and folders. The utility will likely have a copy of your deleted email and you can use it to restore your email. Step 1. Click on Launchpad in your Dock and search for and click on Time Machine. It will launch the Time Machine utility on your machine. Step 2. When the utility launches, select the Finder window where your emails have not yet been deleted and click on the button that says Restore. It will restore your emails on your Mac. Your Mac has gone back in time and so you now have your deleted emails back with you in your email client. If you tried above methods but you could not find your email anywhere, we understand you might be a little disappointed. Fortunately, you do not have to be because there is still one more way for you to recover your email. Recover emails even from your formatted hard drive. High-recovery rate meaning you have more chances of getting your lost emails back. You can recover emails regardless of how you lost them on your Mac. It has a modern yet easy to use interface to help you recover your emails. 100% guarantees your data security. Step 1 Download the software from its official website and install it on your Mac. When it is installed, launch the software, select your drive where your emails were located, and click on the Scan button. 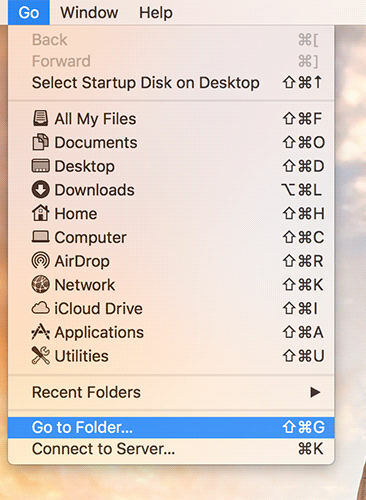 Step 2 If you are running macOS High Sierra or later, your Mac, disable SIP by following the steps in the below image. Step 3 When the scan is finished, you will see the results on your screen. Select the emails you wish to restore and then click on the button that says Recover. Step 4 Select the folder where you would like to restore the deleted emails. Your deleted emails should now be back at your chosen location on your Mac. If you ever end-up deleting an important email on your Mac, you do not need to panic as there are multiple methods available to restore your deleted emails. We hope the above guide helps you with restoring your most wanted emails on your machine.